Happy hump day crafty friends! This is another project that I completed during World Card Making Day (well weekend really, lol). I am submitting this one to the current Lawn Fawnatics challenge - Critters. Seriously, who doesn't love Lawn Fawn critters? I am seriously obsessed with otters, I keep telling my husband that we need a pet otter! I had to have all the otter sets including the exclusive collaboration from Simon Says Stamp! I started with the largest Lawn Fawn frame die and cut it from one piece of Neena Solar White and three pieces of watercolor paper. I stamped my snow flakes from multiple Lawn Fawn sets on the Neena along with the sentiment from Winter Otter in Simon Says Stamp clear ink and embossed in both white (snowflakes) and silver (sentiment). I then added a mix of Tumbled Glass and Salty Ocean Distress Inks with a light hand. 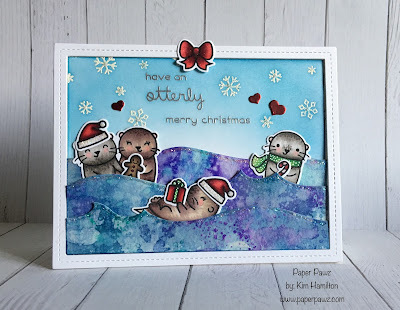 For my waves, I used the watercolour paper and a mix of Distress Inks for added texture. 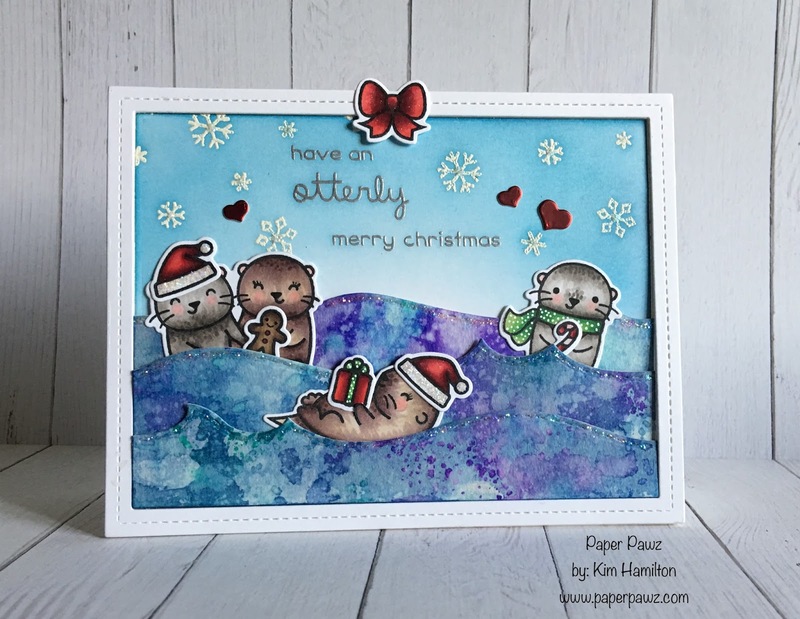 I then stamped my otters and other images with the Lawn Fawn Jet Black Copic friendly ink and coloured my images. I used the coordinating die cuts and then put my card together and finished with some white gelyroller detail and Star Dust Stickles. I added all three framed to even out with the waves. Thanks so much for taking the time! Go check out the challenge! I'm a fan of otters too, they just make me smile! And I love your fabulous card featuring these frolicking cuties! 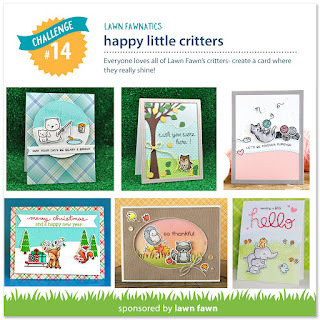 I'm so happy you joined us for our Happy Little Critters challenge at Lawn Fawnatics!